40 miles under the Earth's surface a large research and refinery facility has faulted. Attempts to raise communication with the installment have failed. The status of all fifteen workers stationed within the facility is unknown and unstable readings were acquired before the facility went dark. Valvorta Industries' board of directors have elected to send an engineering specialist to assess the situation. The mission is simple: repair the output from the facility and rescue the distressed workers. Whether it's accomplishable is another matter, after all, how can you possibly hope to reach and hell and back? This first patch contains numerous bug fixes and VR tweaks. On the VR side, specifically, the performance of the game is more stable. The text has been made more legible and some of the inadvertent camera shake has been decreased. The text's font and color were victims of the Oculus' widescreen resolution, and caused the text to sometimes be difficult to make out, particularly for scanning objects. For those that have tried the game with Oculus enabled, we are sorry we overlooked this. POSTSCRIPT: This is the same article from the Steam store page but I wanted to post it here as well because we love indiedb.com. This was the first place we posted screens and info about our game and we wouldn't have made it through without the support from this community. Thank you. Our official announcement of UnderEarth's Release on Steam. The First technical release for the month of June. The second developer update for UnderEarth in the month of May. The first technical development update for the month of May. The new public PC beta for CrackerJack Games up coming release UnderEarth. The demo showed promise but it lacks some things. A list of controls would be nice. Also some idea of what we are to be doing in that section of the game. I'm not asking to have my hand held but when my air is running out from the start it would be nice to have some idea of what my goals are. 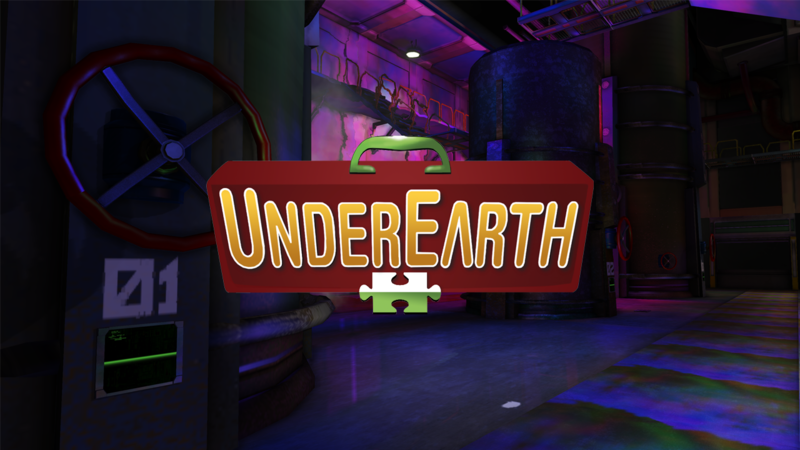 Also are there any plans for a DRM Free version or a Linux version of UnderEarth ? There is a controls list in the description of the demo. Yes to DRM free. As for Linux, it is not in the plans, but will be considered if there's a good demand for it. Thanks for your feedback, PublicNuisance! RT @AdventurSource: David Byrne's virtual reality project, A Thought Experiment" Youtube.com, "our perception is not really based on reality . . ."